Helping you find the Best Refrigerator that fits your needs! Our Refrigerator Reviews cover the major refrigerator brands you probably know as well as up and coming and smaller brands you might never have heard of -- but might be worth considering. In each of our refrigerator ratings and reviews, we give you both the OVERALL sentiment of each refrigerator model while highlighting SPECIFICS that make certain models stand out above the crowd. We try to identify as many special features of each refrigerator model we review to help you better assess whether such features are worth the extra cost. Shopping for a new refrigerator can be a frustrating experience and you might find yourself suffering from information overload. So to help, we have broken down our reviews into specific categories, so be sure to scroll the entire length of this page to navigate your way to what you need. The most common style for a typical family of four. The freezer space tends to be a bit more narrow than the refrigerator space. However, the refrigerator space is often loaded with space saving shelving, door alcoves and specialized drawers that help you better organize your food items. There are hundreds of Side by Side models to choose from a wide array of manufacturers. 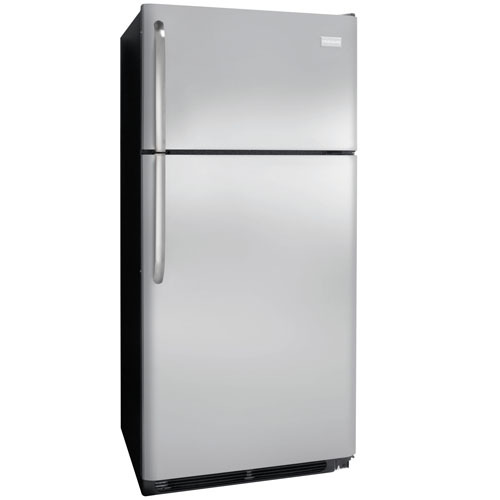 Top Freezer Refrigerators are exactly as they sound, where the freezer is mounted on top of the refrigerator. Typically, these models are some of the most affordable models available with an average cost of less than $1,000.00. There are huge variances in the interior capacity from model to model, so be sure to double check the storage space as you read each of our reviews. 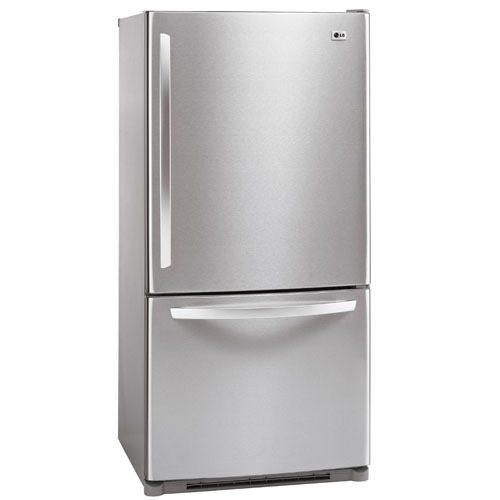 The variance with most Bottom Freezer Refrigerators is if you prefer a pull out drawer versus a swing out door. Either way, these have about the same capacity as most Top Freezer Refrigerators. The difference here is that the majority of your refrigerator items will be at eye level. These are for people who have a definitive preference for this type of fridge as they tend to cost a bit more. For those who can afford it, a Built In Refrigerator gives any kitchen a look of sophistication and luxury that no other major appliance can touch. However, considering the substantial cost of many of these units, you want to be sure you're buying the most reliable model you can find. We've reviewed dozens of models that we think are worth the extra cost. 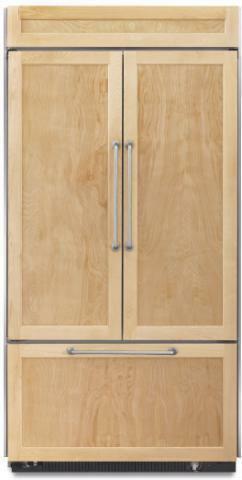 This finish has truly become one of the most popular ways to update and upscale any kitchen. What used to be a finish that was exclusive to those who could afford it has become much more widespread. Take a look at the dozens and dozens of stainless steel refrigerators we've reviewed from almost every manufacturer on the market. Sometimes you just need a refrigerator without a freezer. They are great for homes with many occupants, families that eat a great deal of fresh produce, or even for offices where a freezer section isn't half as important as the refrigerator. Whether you're looking for commercial use or for your residence, these refrigerators are a great choice. 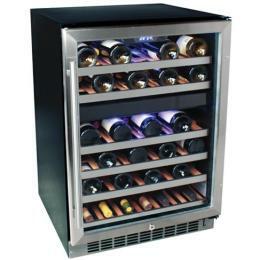 Wine Refrigerators (also known as Wine Chillers) are quickly becoming some of the most popular items in refrigeration. But they offer more than just a way to keep wine cold. They preserve wines. From your cheapest whites to your most expensive reds, a good wine refrigerator is a must if you want to make the most of your wine drinking experience. 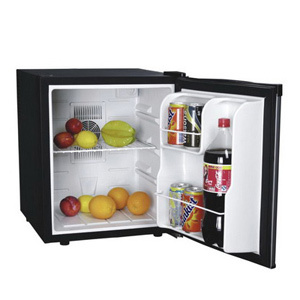 From dorm rooms to offices to mini personal refrigerators, the Compact Refrigerator space is literally exploding. Which means there are too many models to choose from. Our reviews will help you cut through the clutter and find the model that works for you but in a price range that makes it worth your while. 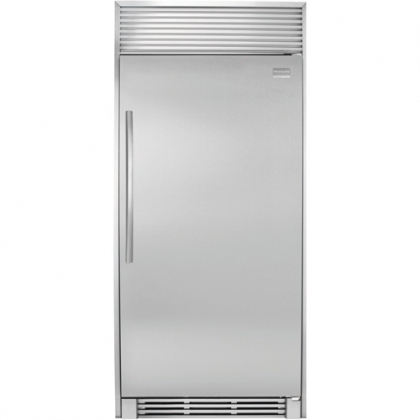 Amana Refrigerators are one of the more popular brands available today. As part of the Whirlpool family, Amana has a great reputation and is known for their affordability. While Bosch only makes a handful of refrigerators, they do it the right way. If you are looking for something special to add to your kitchen then this is a brand to consider. One of the definitive luxury brands, Dacor Refrigerators are one of the few refrigerators that we can say are truly worth the extra cost. From unique features to sleek styles, they're great. Second only to Whirlpool, the Electrolux Appliances are some of the most widely respected lines in the world. They come in a huge variety of price ranges and styles. Here are our favorites. Frigidaire is coming back strong with good consumer reviews from a wide variety of models. Featuring french door and side by side models that are loaded with unique features. Part of the Sears line of appliance products, Kenmore is often ss="IL_AD" id="IL_AD21">the brand of choice for many consumers. Kenmore is definitely a brand name to be reckoned with. A long line of successes keeps this brand in the black. Definitely one to consider as they have a wide variety of well priced models to choose from. LG Refrigerators are quickly gaining on the majors not just for the wide variety of high quality models they have on the market, but also for their durability, reliability and list of features which is getting harder and harder to match. The Maytag line was acquired by Whirlpool recently, but has still managed to keep its reputation as a leader in high quality, low maintenance products and its line of refrigerators are no exception. Samsung is one of the only brands that really gets how to integrate technology with refrigeration. Our Samsung Refrigerator Reviews go into depth for dozens of models. Whirlpool is one of the more affordable brands available. Some of the best of their models fall into their Whirlpool Gold line. 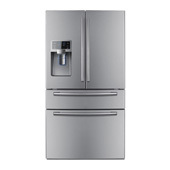 We have refrigerator reviews on dozens of Whirlpool models. Top 10 Refrigerator Reviews One of our most popular lists is our Top 10 Refrigerators on the market today. Updated every month, this list provides you with the very best. These refrigerator reviews are updated often, so be sure you check back before you make your purchase. Energy Efficient/Energy Star Reviews: Let's face it, we live in a wasteful society. Energy efficiency when it comes to refrigeration is so easy to manage, so why not consider a model that lives up to these standards? Here are a number of Energy Star rated refrigerator models and the specific refrigerator reviews to go with them. Refrigerator Water Filter Reviews: If you need a replacement water filter, stop by here as we can help you locate the filters you need at the price you want! Customer Reviews: Once you've narrowed down your decision a bit, then you can take a look at what others have said about their fridges. Though it's important to note that what you'll learn from these refrigerator reviews is typically what NOT to buy. Remember, one happy person tends to share their joy with 3-4 people, where an UNhappy one tells as many as she can! Additionally, these refrigerator reviews may be one consumers experience and not a predictor of your own. One bad review of one particular model shouldn't discourage you from considering the refrigerator brand as a whole. There are quite a few refrigerator manufacturers out there and we have reviewed some of the most popular and highly recommended brands. Ultimately, the entire purpose of this website to help you make an educated, well informed decision about your choice in a new refrigerator. So, if you can't find a refrigerator model that suits your needs, try our Find-A-Fridge service. It's absolutely FREE and we'll help you narrow down the plethora of choices to find the best model for you. We even created a page on what to do when your refrigerator breaks down called Refrigerator Repair.